Derek “Vader” Brown is a unique Bachelor of the Firemen of San Gabriel. He isn’t your typical fire fighter and he knows it and so does everyone who has ever met Vader. Vader is spirited and wild at times but is honorable and loyal to a fault. Vader is also in love with his ‘sometimes’ girlfriend Cherie. There are times he thinks they are on the right track and then other times he wonders who Cherie really is and why she is holding back from him. Cherie Harper hasn’t had it easy. She and her brother had to run away from home, and they have started a new life for themselves. But Cherie knows that no matter how much she cared for Vader she can never marry him, even though there is a big part of her that wants to. Cherie is truly herself when she is with Vader and it breaks her heart to hurt him. 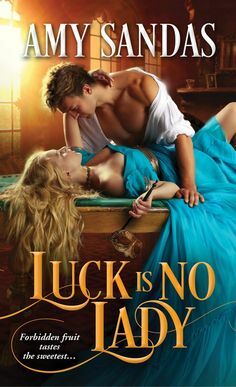 When Cherie’s sister Trixie comes to town, things get a little crazy for Vader and Cherie, and soon Cherie will have to decide who she can really trust and will Vader still love her when he knows the full truth? Derek Brown or also known as “Vader” is quite unique. He doesn’t hide who he is and is blunt and bold and says exactly what is on his mind. Vader is a character I have been so anxious to read ever since I was first introduced to this series in the first book. Vader is quite a sexual being and doesn’t hide that fact from ANYONE. He is probably the most amusing out of all the firefighters. But in this story we see a deeper side to Vader. The side I have been looking for. Vader is in love with a woman that has turned down marriage proposals, but that doesn’t keep him fully away. Vader is also trying to become Captain and taking care of his mother. And whew…the relationship he has with his mother is so amazing and heartwarming. Vader is so much more than he lets everyone think. He may be rambunctious and crazy at times, but he is also giving and compassionate and quite the protector. He has the whole true hero qualities, he has charisma and is charming. And the moment you meet Vader…you can’t help but love him instantly. Cherie Harper is a heroine that is between a rock and a hard place and you see how much she is struggling with that. She came from a family that lives in the country, true hicks, but her father is downright crazy when it comes to religion. She grew up in a home with very strict rules. What we see in this story of her family life is so bizarre and I can totally understand her running away. Cherie and her brother made a pact of secrecy and they can’t risk her father or his “friend” finding her or it could mean giving up the life she has found in San Gabriel. Cherie is a heroine that is independent and passionate, but doesn’t know how to accept help when its needed. She can be prideful and stubborn. What I really enjoyed about her character was seeing how she develops in this story. She begins to learn the meaning of trust, especially in a romantic relationship. 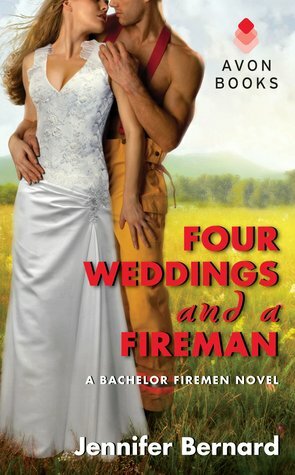 Four Weddings and a Fireman was quite the story, and out of all the books that I have read so far, I think this one is one of my favorites. I really love how unique each book is, which various circumstances. Normally I am not a fan of big “secrets” in books, but this one seemed to work for me, even though I felt it dragged a bit in the end there. But I really loved this book overall. And oh boy the humor was just fantastic. I just couldn’t stop laughing in so many moments of the story. Over the previous books, we have seen Vader and Cherie’s relationship and a bit. 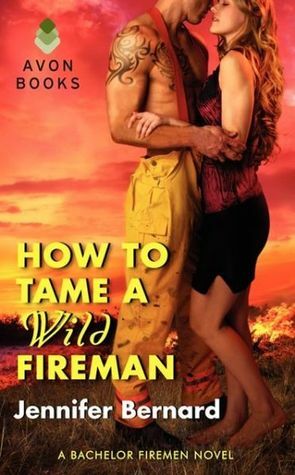 This book starts out with them pretty serious in their commitment, and the beginning or the end of their relationship. Vader is mad for Cherie and wants to marry her. But when you get turned down twice, it tends to affect you. Vader decides to focus on his studies to become Captain and helping his mother. What is the turning point is Trixie’s arrival and the havoc she brings. And boy is she a bit wild and energetic at times and I really loved how she brings Vader and Cherie together. What was most fascinating about this story, was seeing mystery and a hint of danger due to Cherie’s past. I really couldn’t get enough of seeing Vader and Cherie working through the tough issues of their relationship. It felt so “normal” and I felt like I could relate with them so easily. The chemistry between these two is quite hot and even at times when they aren’t together emotionally….they sure have a connection physically. No problems there. I found this book to be highly entertaining and comical with a hint of seriousness to it. LOVE this cover. I do love those sweet romantic poses and this one is so dang good. Love the male behind, and that dress is so pretty. Four Weddings and a Fireman is a sensational contemporary love story that brings together two people in trust, love, intrigue, a spot of danger and some entertaining rides. Amusing and romantic.